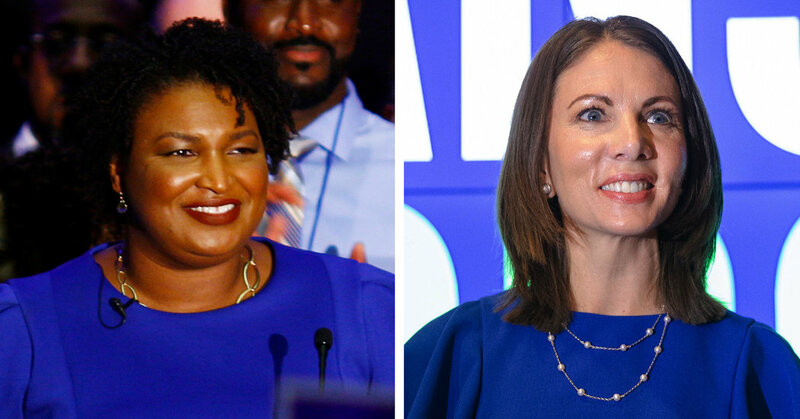 In Georgia, two women were locked in a close race for the Democratic nomination for governor. What does this primary tell us about the future of the Democratic Party? • Jonathan Martin, a national political correspondent for The New York Times. • Stacey Abrams, a former minority leader of the Georgia House, made history by becoming the first black woman to be a major party nominee for governor in the United States, defeating Stacey Evans in Georgia’s Democratic primary. • The race between Ms. Abrams and Ms. Evans, two well-regarded candidates with starkly different campaign strategies, was viewed as a weather vane for the Democratic Party’s prospects in the midterm elections. Ms. Abrams banked on the support of young people, women, and African-American and Hispanic voters, while Ms. Evans reached out to moderate and conservative-leaning white voters. • Here are the results for Tuesday’s primaries in Arkansas, Georgia, Kentucky and Texas. • Record numbers of women are running in the midterm elections, but the road to Capitol Hill is a hard one. Saddened to hear about this school shooting incident at the neighboring high school just 23 miles from Calhoun High School, which I attended in Georgia. I remember driving to Dalton High School to take my S.A.T.s and frequently attend football and soccer games. It’s potentially proof that arming teachers isn’t the great idea many thought it might have been just a week ago. This now makes three school shootings in communities that I’ve either been directly touched by or been in close proximity to following two others: a shooting at Johns Hopkins in April 1996 involving a friend who was staying in my apartment at the time and the Heath High School Shooting in Paducah, KY in 1997 in the town where I’d lived briefly in 1996. This has long since ceased to be a political issue and is a pressing public health issue that needs to be addressed on multiple levels.